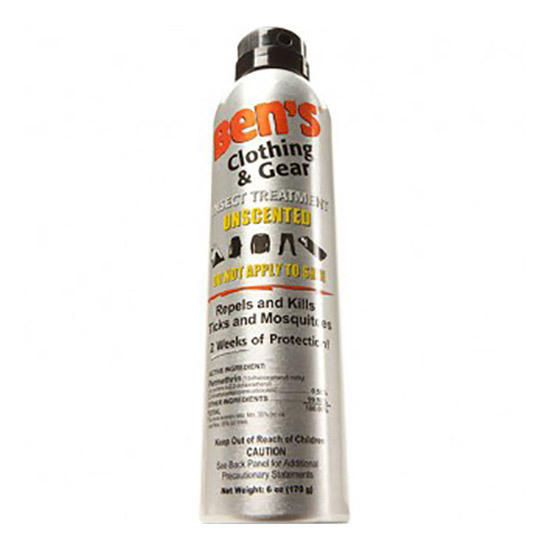 Ben's Clothing and Gear contains 0.5% Permethrin to kill biting insects on contact. Apply to your clothing and gear before your trip for an extra level of protection against mosquitoes, ticks, biting flies, and other insects. The formula bonds to the fibers in fabric for protection that lasts up to two weeks. Each bottle contains enough repellent to treat two complete outfits or one set of gear.